Carrara marble tile is usually the first type of marble tile that comes to mind. However, if you are looking for something truly timeless, that will never go out of style and that will always speak volumes of elegance, seek any type of marble tiles. 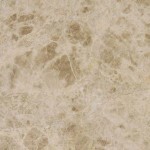 Marble tiles offer a variety of rich natural colors, textures, and uses. Whether you are looking for sleek marble tile for your floors, or you want to add some marble tile to your shower, there are many different types and sizes of marble for you to choose from. Did you know that marble is one of the oldest and most desired building materials in the world? The use of marble in construction goes as far back as the Greco-Roman era, where marble was used to not only construct grand structures, but also as tile to decorate lavish floors and hallways for kings. This is a testament to the durability and timeless beauty of marble, one that still very much exists today. Fortunately, today’s market has affordable and flexible marble options that have come a long way since the time of the Romans. You can choose between different styles of marble tile, as well as different locations for that tile to go. Below, you’ll find an explanation of the different types of tile, as well as the most popular spaces in the home to use it. The beauty of marble tile is that it comes in a range of colors and accents that can pair well with almost any type of decor. The different types of marble tile are listed below, along with explanations that can help you determine whether or not you want to go with this kind of tile. Remember that tile is almost an artistic element, one that lends itself well to colorful accents and splashes of color to be displayed anywhere in your home. 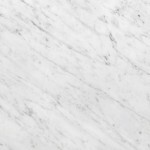 Carrara is a type of marble tile that often comes in white or a bluish-gray. It is used a lot in sculpture, and can also be used for a variety of tiles and decor. 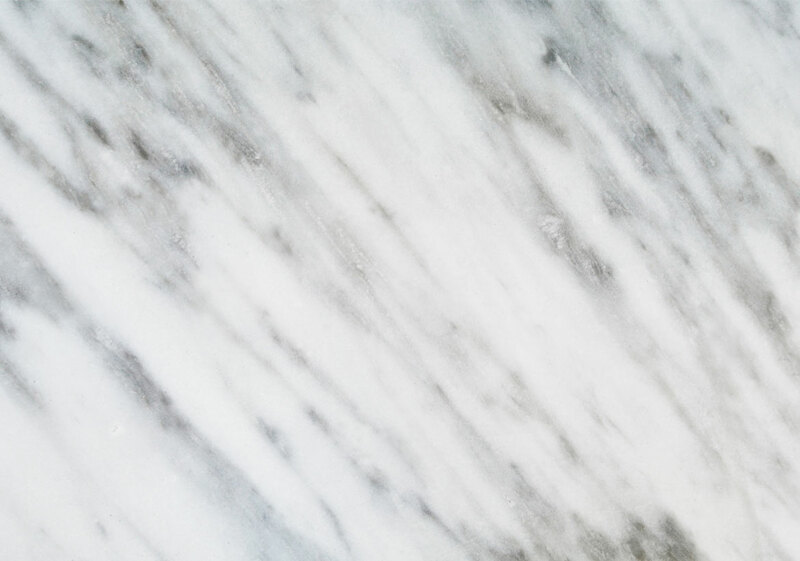 With linear veins, Carrara marble tile is often dramatic in texture and richness. It is one of the most common types of marble that you can find in homes and private residences and is typically seen in bathrooms due to its pristine whiteness. 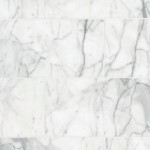 Marble subway tile is often a form of affordable Carrara tile that makes it a versatile material for use in the home. It’s an unassuming yet elegant way to pattern tiles in backsplashes or floors. It comes in standard proportions, but can be customized to fit the look and feel of your home. Pretty & classic. Wall tile is White Carrara Select via Marble Systems. 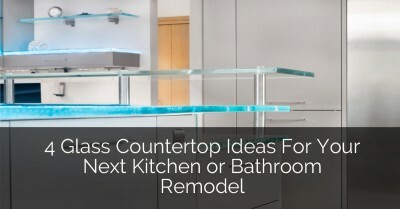 The countertop is Newport Cambria. SGDI – Sarah Gallop Design Inc. 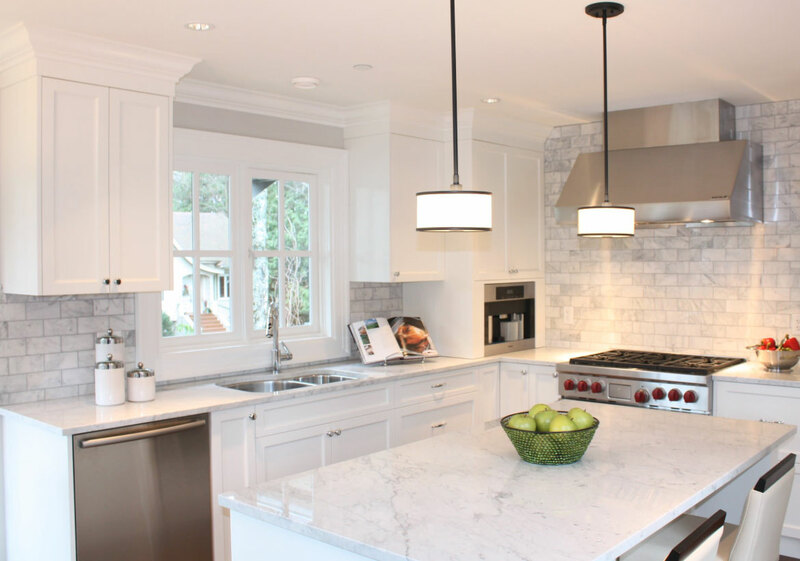 This bright white kitchen features Carrara marble on both the kitchen backsplash and the counters. 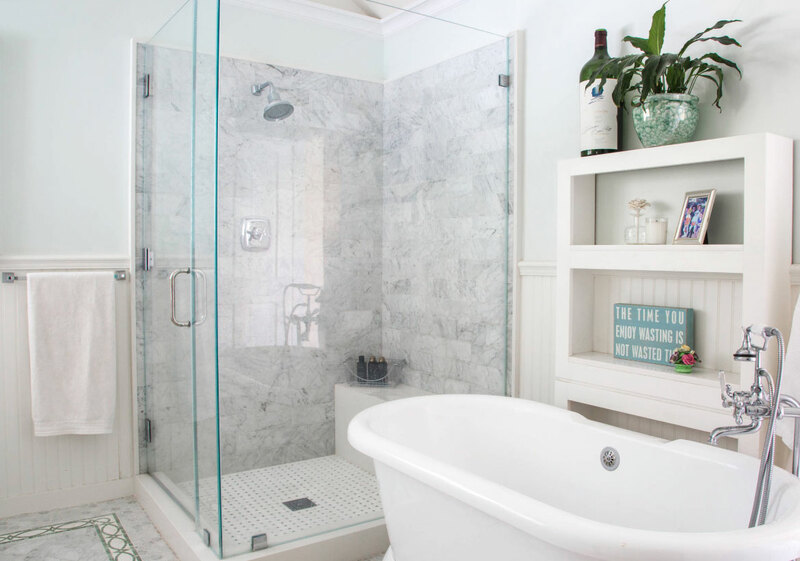 This stunning bathroom features 2″x8″ Devonshire Carrara Polished Marble Subway Tile purchased from The Tile Shop. 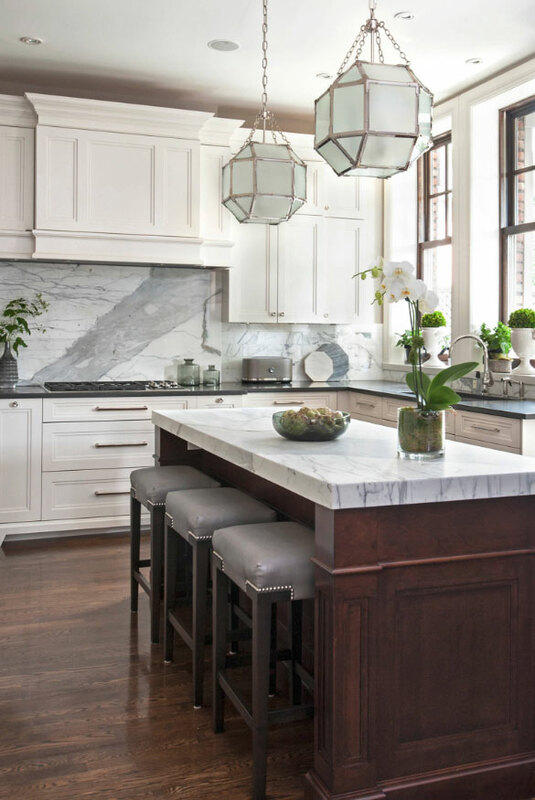 This classy kitchen features Carrara marble countertops and Carrara marble tiles on the wall. Love that the tiles go all the up the window wall! The marble adds so much style to this smaller bath. Pretty corner marble tile shower. 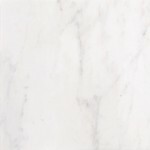 Calacatta marble tile is another popular type of white or grayish marble. To the untrained eye, Calacatta may seem similar to Carrara, but they are in fact very different. 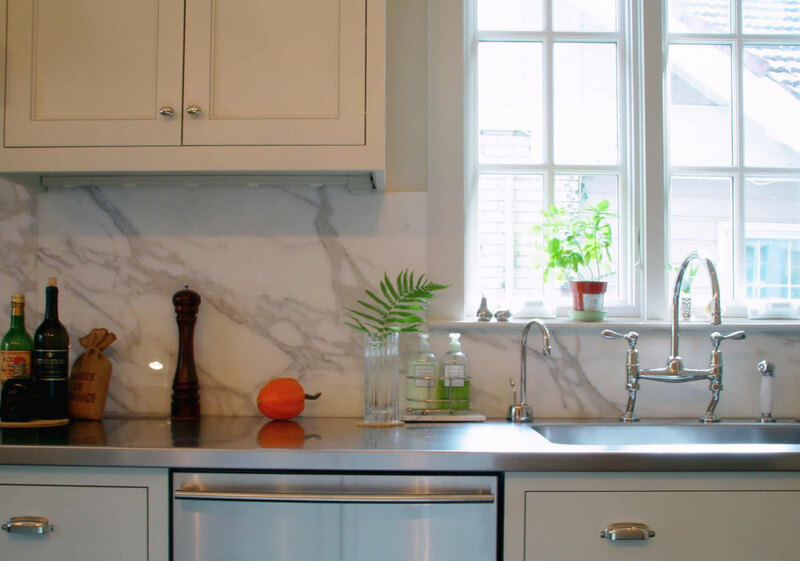 Dark grey veins and thick patterns of richness often characterize Calacatta marble, and it is often paired in a kitchen with stainless steel or metal appliances. Homeowners also like to use it in the bathroom with porcelain decorations to complete a pure, stony-gray aesthetic. It’s quite a versatile marble that can either add a sense of coolness to already cool tones, or it can help to blend with warmer tones to add a sense of light to an otherwise too-cool room. 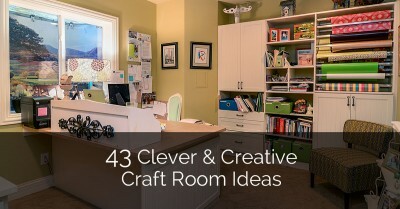 This is a great design idea if you have this kind of space to work with. 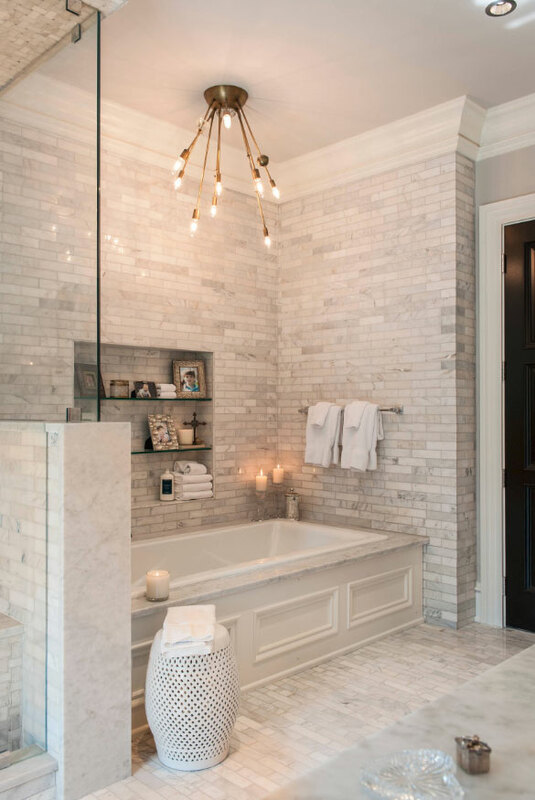 This bathroom features Calacatta Carrera marble countertops that were chosen to match the Calacatta Exedra tile on the floor via Tile Showcase. Love this marble kitchen backsplash. Ok — cheating a little? But this totally works. 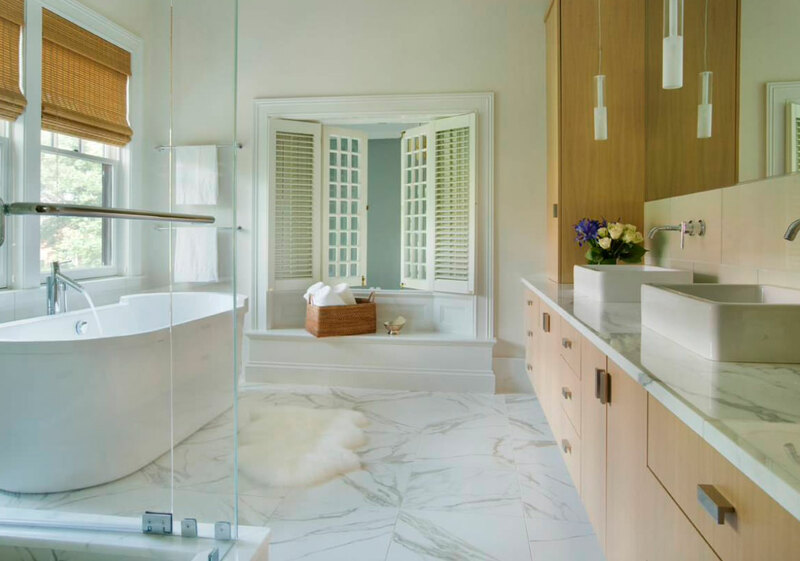 This striking bathroom features Real Calacatta Porcelain Tile. Another light gray marble with a pretty solid background, Statuary or Statuario marble is typically known as the sister to Carrara marble. It is almost translucent and is very smooth and shiny to the touch. 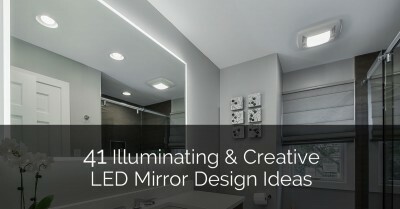 Depending on what kind of finish you use with it, it can be very glossy and reflective as well. It’s great for when you want to add some radiance to the room, especially if you have large open windows. It can reflect the natural sunlight and give your room the appearance of a wide open and beautiful natural space. Many homeowners like to put Statuary marble tile in the kitchen, where it can best show off its reflective and glossy surfaces. It’s also used as a backsplash in many other locations, depending on the homeowner’s budgetary needs. 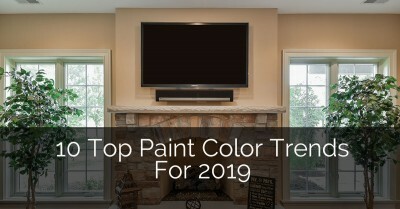 It’s a great way to pull any room together and add a finishing touch that will truly stand the tests of time. So Chic. 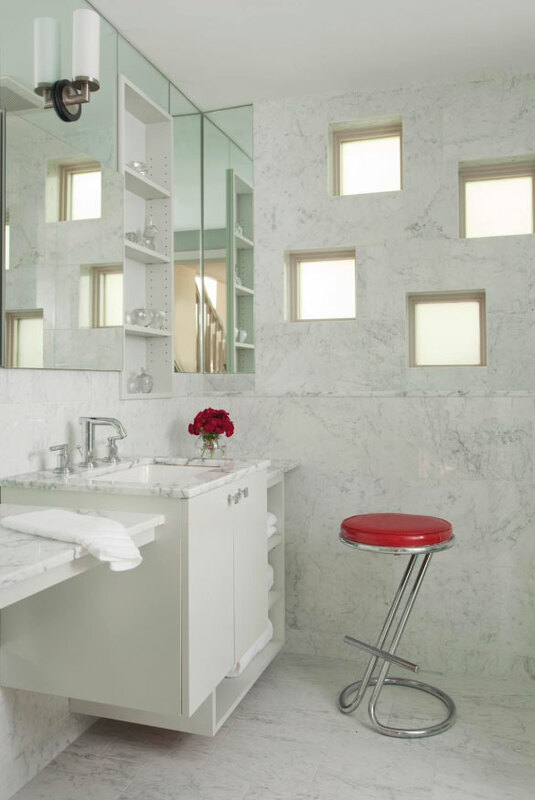 This powder room features Statuary white marble countertops as well as marble walls. Cool square windows. 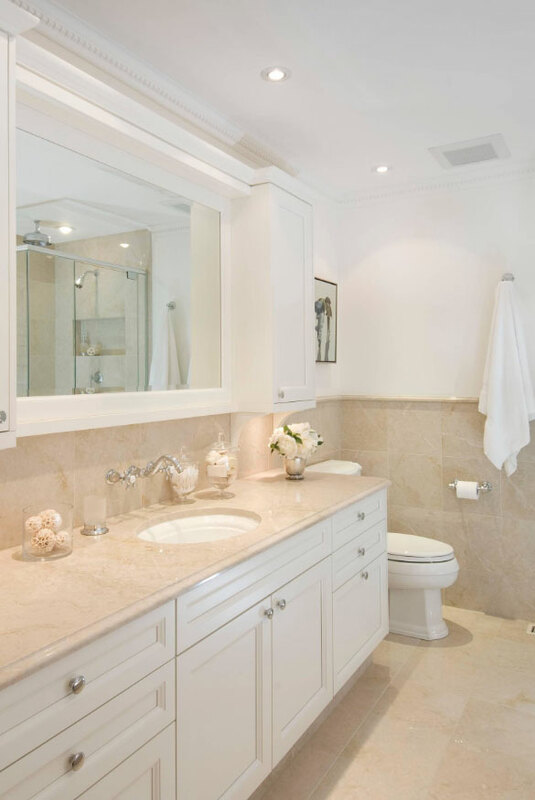 A wonderful example of a traditional bathroom that features Statuary white marble countertops. Very rich & elegant kitchen. The backsplash and island feature Statuario Venato marble. Complemented by Caesarstone Raven on the perimeter counters. Originating in Spain, this type of tile is really diverse in color and texture. Most come in a beige or yellow but are also found in darker reds and other intense hues. 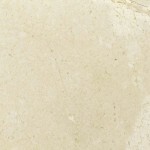 It’s a beautiful natural stone that is most often found indoors. 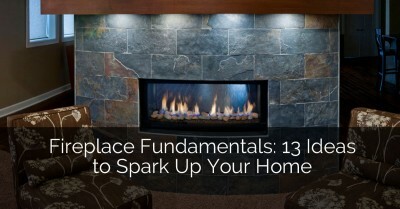 Homeowners use it to construct cladding and decorations, as well as some types of flooring. Homeowners who are feeling adventurous or who love to design homes in a traditional Spanish style can find a lot of use out of these differently-colored marble tiles, which lend themselves greatly to a high amount of returns on value. 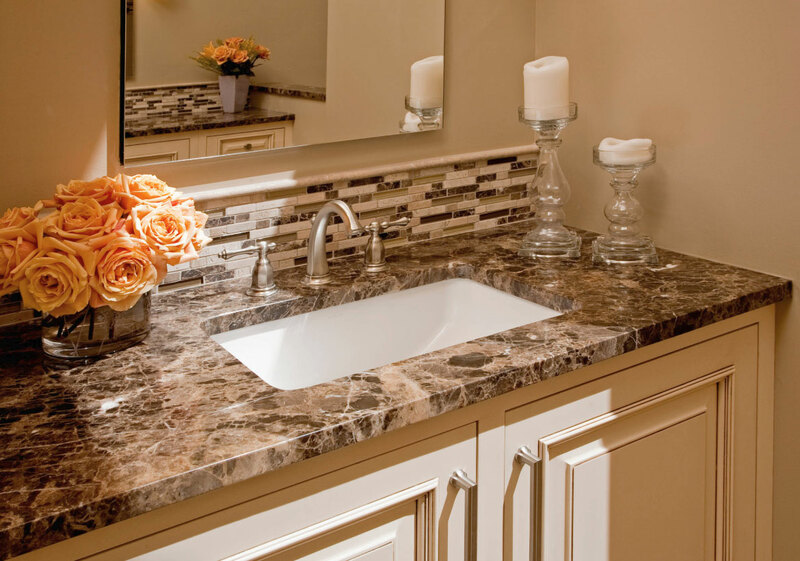 Close-up of master bath vanity that features Crema Marfil marble. Soft, pretty and neutral. Looks perfect the way it is or a favorite accent color could be added. 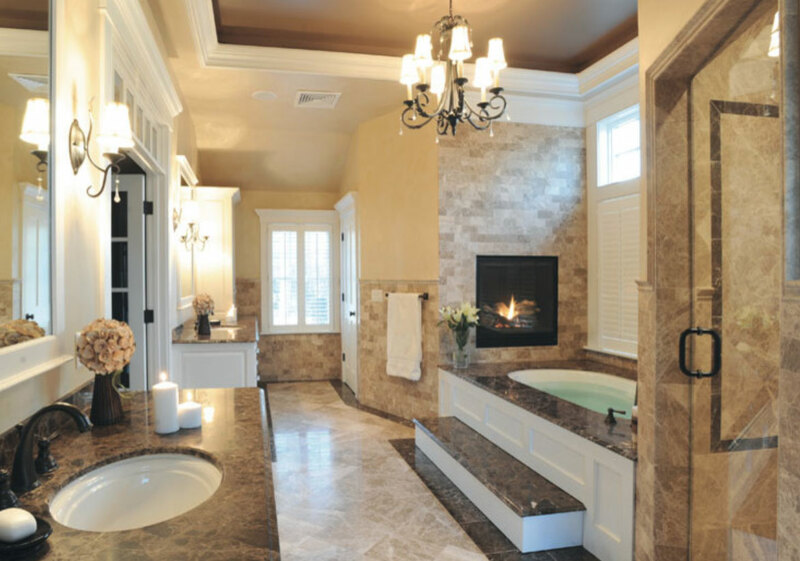 The Crema Marfil marble also adds some subtle warmth. 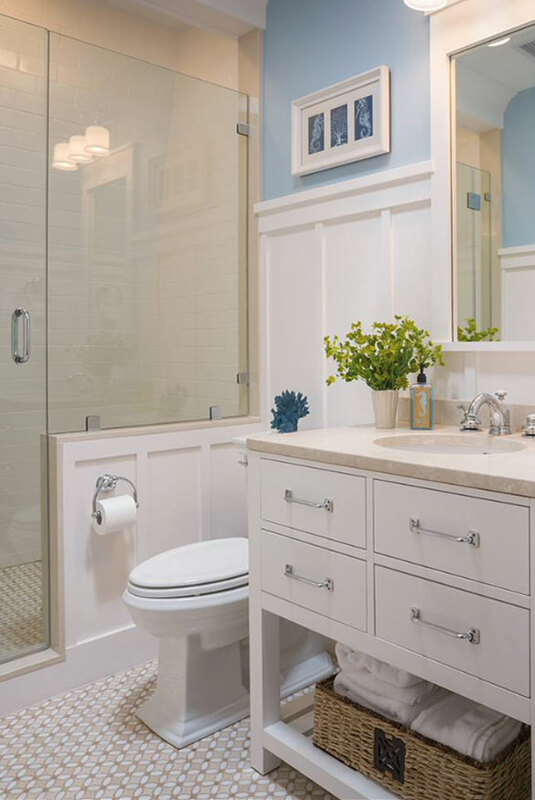 Clean & crisp coastal bathroom. Another Spanish stone, Emperador marble tile comes in varying hues of white and gray, as well as brown and yellow. What people love the most about this type of tile is the fact that it typically is displayed with irregular veins, and it has super fine grains which contribute to a unique texture. Homeowners find this marble widely available, and it can be used for decoration or for function. 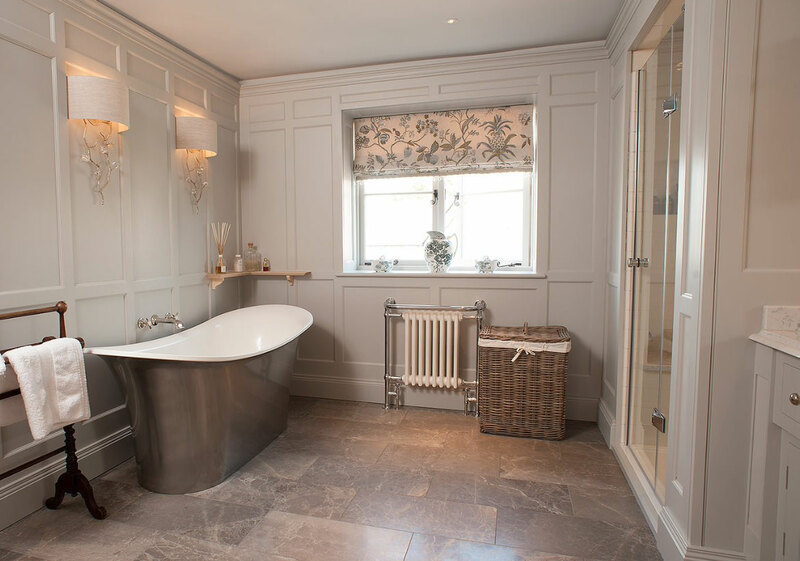 The Ashton & Bentley Aegean bath in platinum finish looks remarkable with the Mandarin Stone Fumed Emperador limestone floor, not marble, but has a very similar look and feel. Countertop in Emperador Dark marble. This “Wow” bathroom features both light and dark Emperador marble–Akdo Emperador Dark & Emperador Light marble. There are different textures that can be achieved with a marble tile. When it comes to appearance, one of the biggest and most common variations comes with a process known as tumbled marble tile. Tumbled tile describes the type of finish that is used on top of the stone, in this case marble. There are different process that contribute to the different textures of tumbled tile. A natural tumble makes the tile appear soft and rounded. 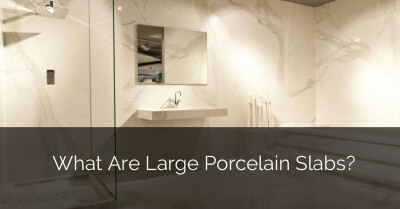 Meanwhile, larger marble tiles are typically not tumbled, but are rather finished using a honed or a polished style. A honed marble finish gives it a matte appearance, which is silky to the touch, less reflective, and less prone to scratches and stains. On the other hand, polished marble tile is slick, smooth, and very reflective. It can be beautiful and elegant, but also slippery and prone to scratches if there is heavy foot traffic. It’s important to consider how your marble is going to be used before you decide on the location and the texture of your marble. Marble tile floors are one of the most popular flooring choices for bathrooms and kitchens. In a bathroom, the natural white and gray can add to the purity of the room, while feeling cool underfoot for a smooth and relaxing feel. 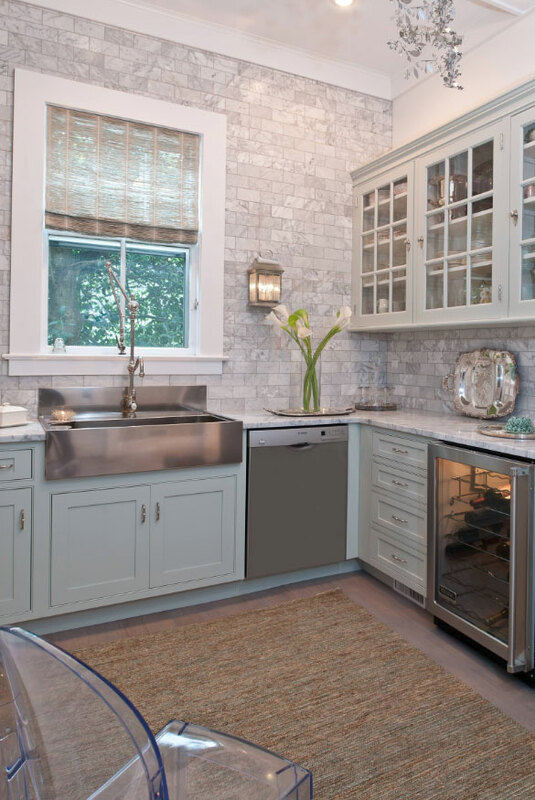 In kitchens, they can add to the grandeur, while they reflect the different colors of your furnishings and appliances while making the space feel more open and connected. In some cases, especially in the bathroom, the marble tile of the floor can extend partially or all the way up the walls, continuing the pattern. 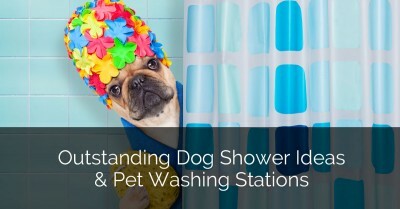 This is a great addition to the bathroom if you already have a marble shower wall and a marble countertop for your sinks. It will make your bathroom feel like it is carved out of stone, a beautiful reflection of the hues and tones the earth can naturally create. It’s hard to find an unimpressive bathroom or shower that has marble tile. Marble can truly bring out the best in sophistication, adding a touch of class to the bathroom. 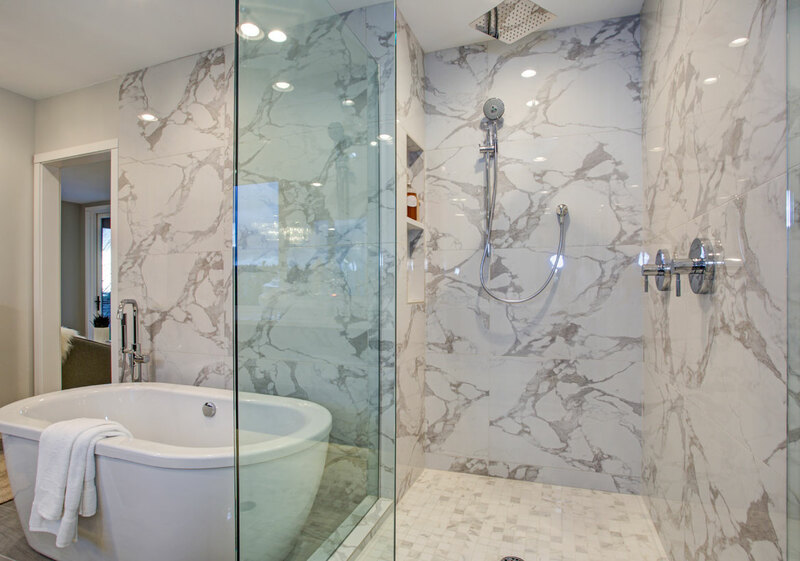 Plus, the coolness to the touch makes marble go hand in hand with a steamy shower. 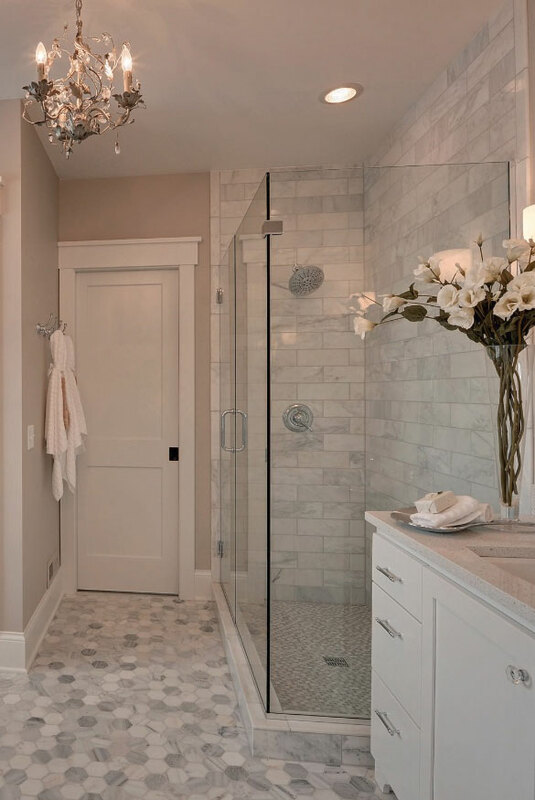 If you want a classic bathroom that can easily withstand wear and tear, you can consider a variety of marble tile options for your remodeling project. 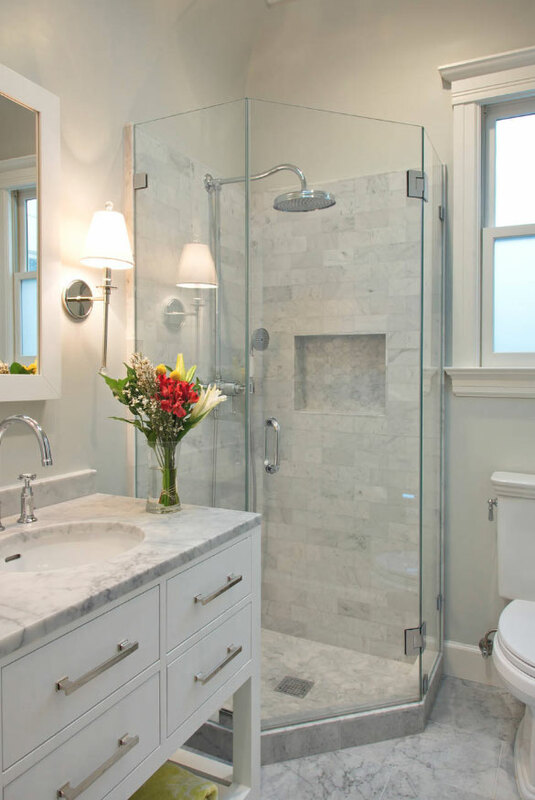 In the shower, it can offer a solid stone foundation that adds a splash of decoration to your elegant bathroom. 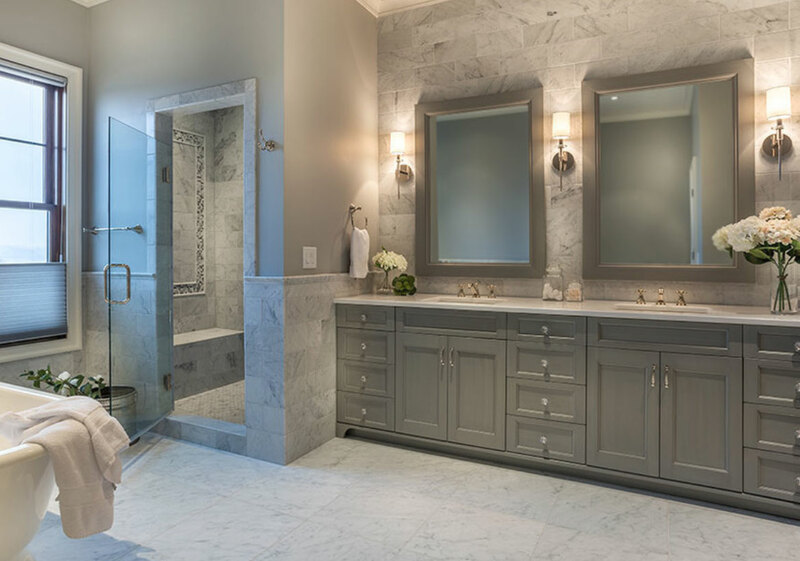 There’s a reason why marble bathrooms are so timeless. 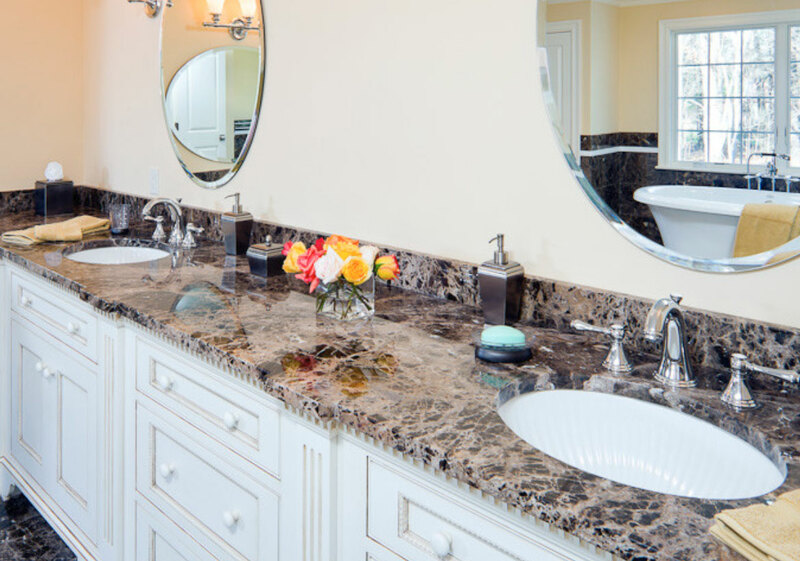 As long as you understand the maintenance needed to keep them looking pristine and glossy, you can benefit well from the addition of marble to your bathrooms and showers. Marble countertops are some of the most diverse furnishings you can think of for any kind of construction or remodeling project. 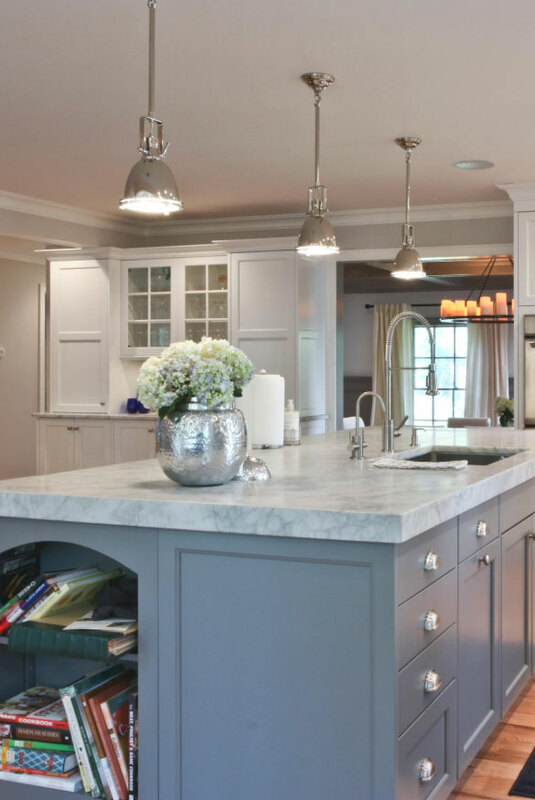 Whether you consider marble for your bathroom or kitchen countertops, understand that there are a lot of benefits in its choosing. The natural veins and grains add depth and character to the room, while the solidity of the stone can be a reliable and dependable material for all of your countertop needs. Most homeowners eagerly choose to install countertops somewhere in the home, as they are affordable, extremely diverse, and highly functional. 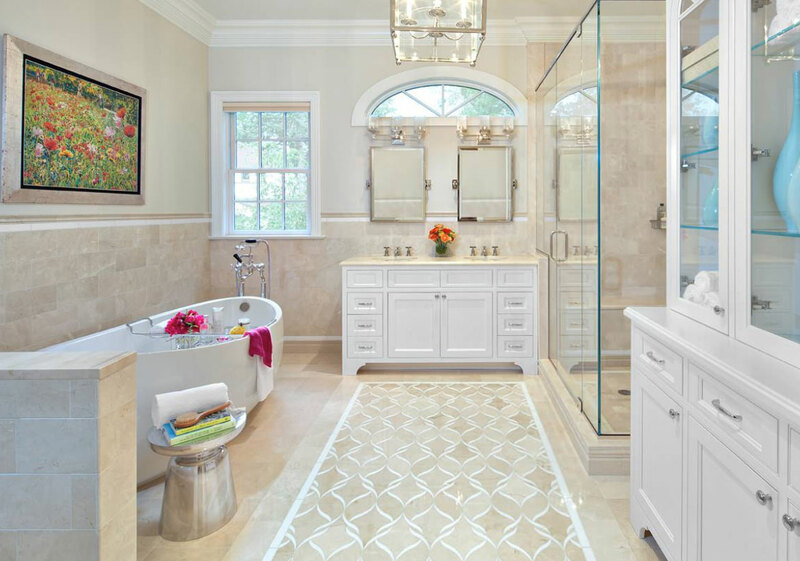 Bathroom floor featuring Carrara Marble Italian White Bianco Carrera 2″ Hexagon Mosaic Tile Honed tiles. 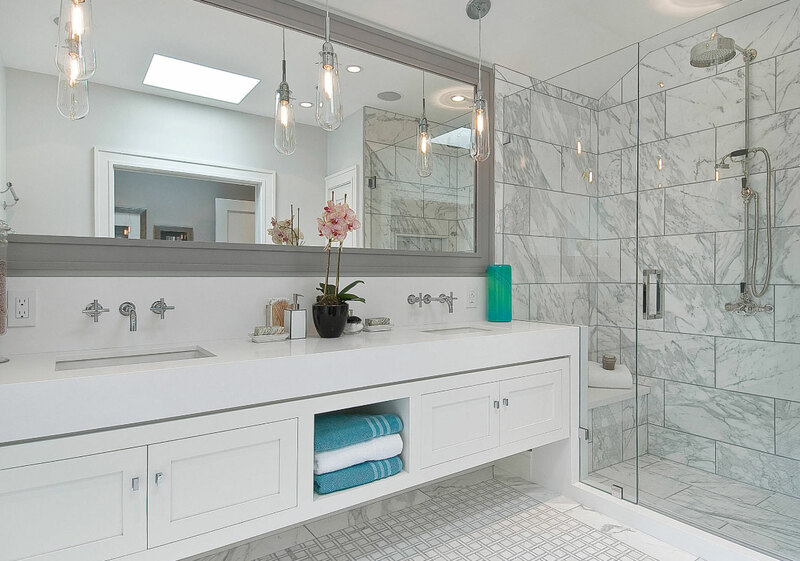 Many great Carrara marble tile bathroom ideas here. 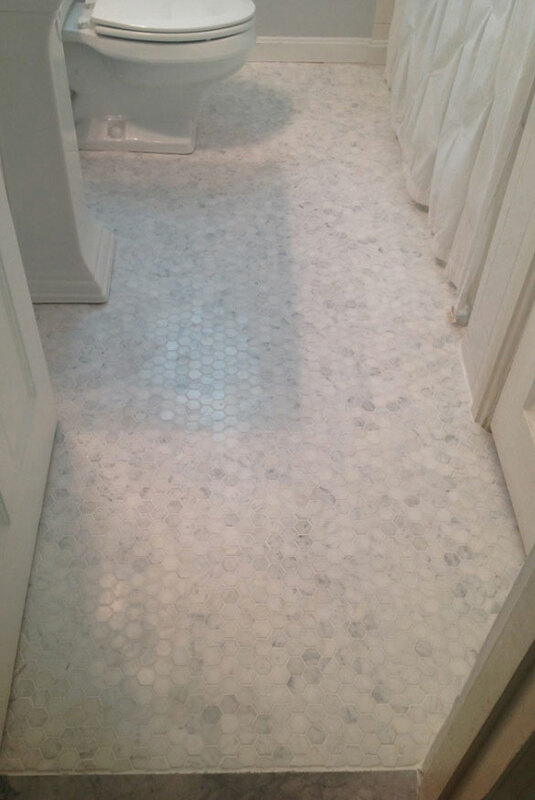 Hampton Carrara Hexagon marble tiles on the bathroom floor. 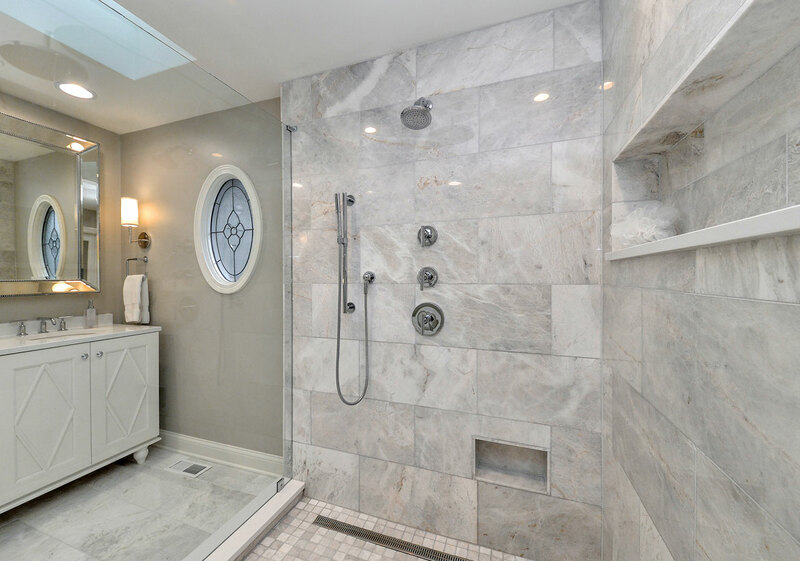 Shower walls consist of Hampton Carrara Polished 4″x12″ installed in a brick pattern. Shower floor is Lucciare with Snow Mix Glass. There are a few important steps you should take to ensure that your marble tile can be cleaned properly. The way you clean marble tile depends on what kind of finish it has on it, or whether it is honed or polished. Typically, since marble is softer than porcelain and granite, it needs to be cleaned more often. A mildly abrasive dish soap should work to clean the surface, but be careful not to use anything acidic. Mix it with water to dilute the soap before you begin. 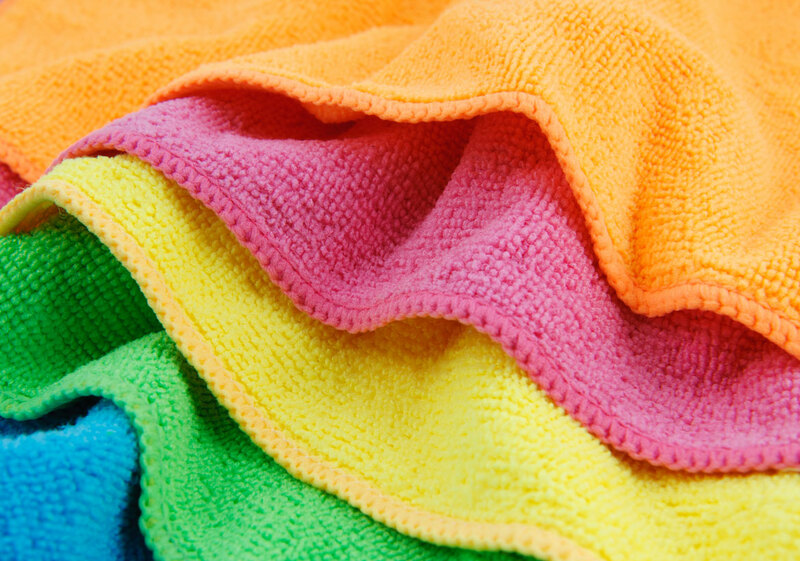 A hot wet cloth is best for wiping the tile down – again, make sure it isn’t abrasive. If you are taking things to the next step, and you want to polish your tile as well, make sure to invest in a grinder and a sander to completely sand down the marble first. You shouldn’t have any cracks, scratches, bumps, or uneven textures before you begin. 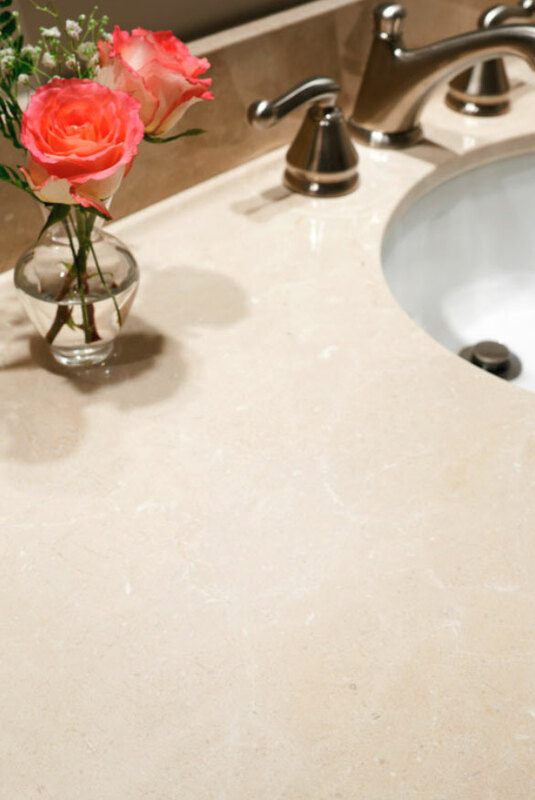 Check with the manufacturer to see what cleaning and polishing materials are best used on your specific marble. It’s easy to understand why marble continues to be a popular material choice for flooring, backsplashes, decor, and much more. With a variety of different functions and design ideas, marble tile can certainly add value to any home. 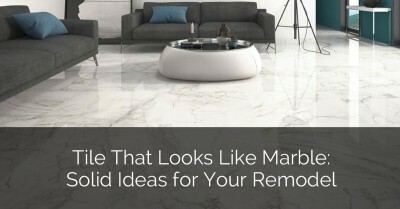 Whether you use it in the kitchen, bathroom, hallways, or even your stairs, there is plenty of room for creativity and sophistication when it comes to marble tile.